I read this article and found it very interesting, thought it might be something for you. 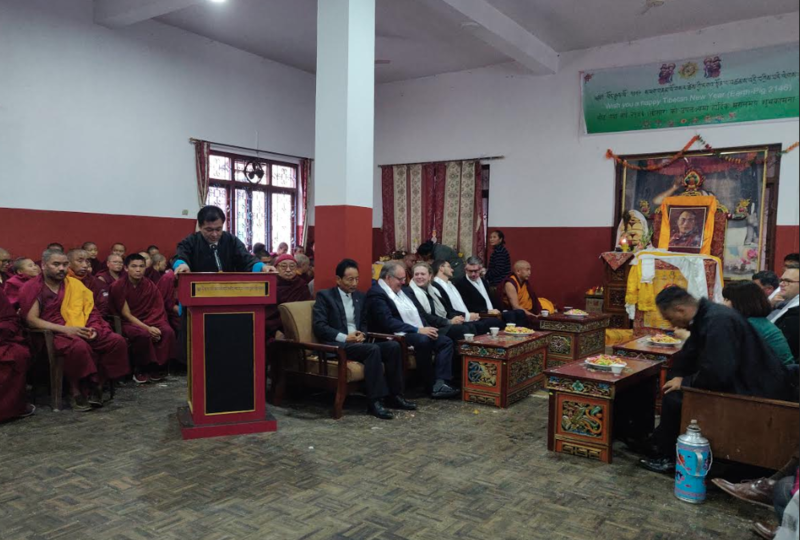 The article is called Representatives of Foreign Diplomatic Missions attend Tibetan Losar Celebration in Nepal and is located at https://tibet.net/2019/02/representatives-of-foreign-diplomatic-missions-attend-tibetan-losar-celebration-in-nepal/. 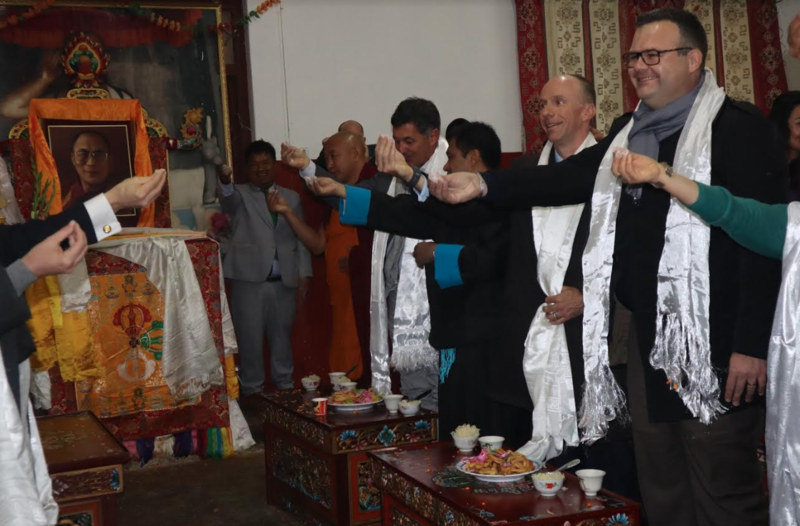 Representatives of more than six Foreign diplomatic missions based in Nepal join the official celebration of Tibetan New Year, Losar at Swoyambhu, Nepal—organised by the Tibetan Coordinator’s Office in Nepal. 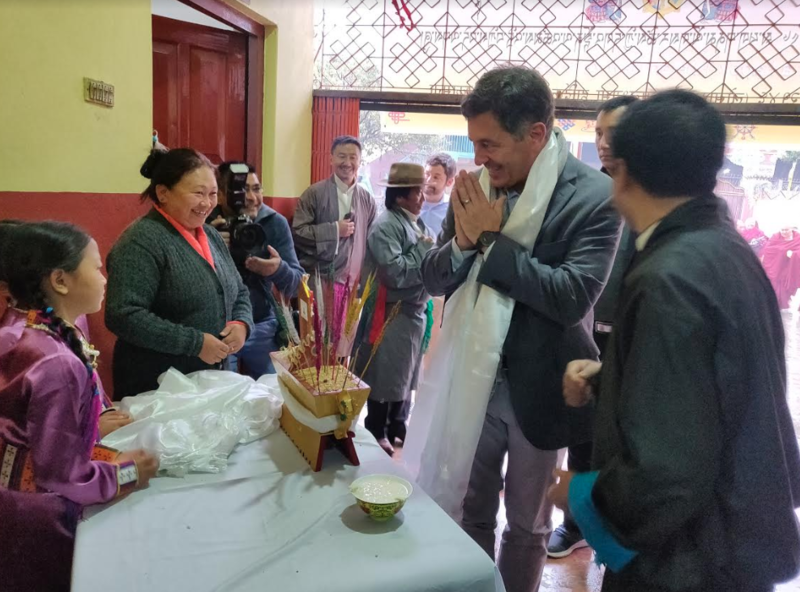 Nepal: Representatives of more than six Foreign diplomatic missions based in Nepal attended the official celebration of Tibetan New Year, Losar at Swoyambhu, Nepal. 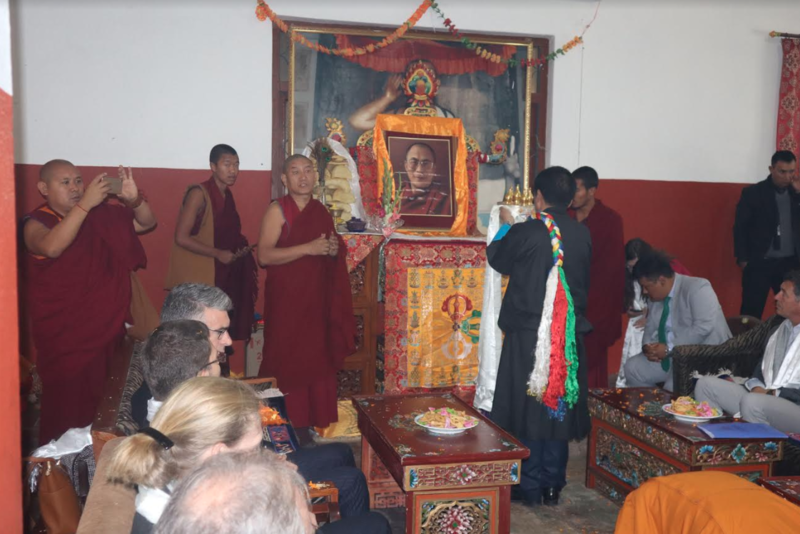 The three-day ceremony was organised by the Tibetan Coordinator’s Office in Nepal. H.E. Randy W. Berry, Ambassador, US Embassy, Mr. Michael Gonzales, Deputy Chief of Mission, US Embassy, H.E. Richard Morris, Ambassador, Embassy of the United Kingdom, Mr. Arnaud Champy, Deputy Chief of Mission, French Embassy, Mrs. Andrea Arslan-Maharjan, First Secretary and Deputy Head of Mission, Embassy of Germany, Ms. Yumiko Yoshino, First Secretary, Embassy of Japan, Mr. UrsFlueckiger, Head of Consular Affairs, Embassy of Switzerland and Mr. Tshewang Ngudup Senior Security Manager, Embassy of Switzerland presided over the ceremony at Drakar Monastery. Other guests include Mr. Alexander Ave-Lallemant, Regional Refugee Coordinator, US Embassy, Dr. Leah ZilversmitPao, Deputy Regional Refugee Coordinator, US Embassy, Mr. ClintanS. Brown, Political and Economic Chief, US Embassy, Protection Officer, Mr. AlisherGazibekov of United Nation High Commissioner for Refugees and Ms. Deepa Dixit, Protection Associate, UNHCR, former Members of Tibetan Parliament-in-Exile and local Tibetan representatives. 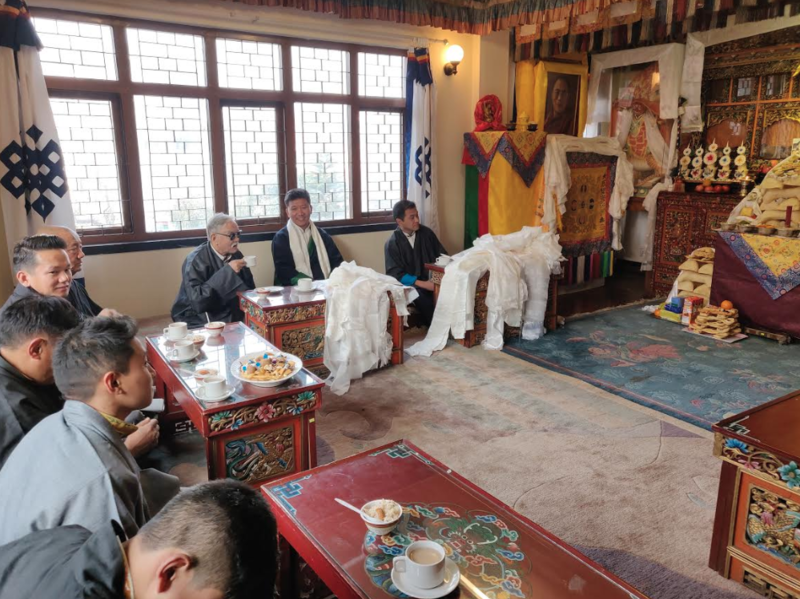 Mr Tsultrim Gyatso, Coordinator for Tibetans in Nepal led by Khenrinpoche of Samtenling made ceremonial offerings and prayers for the long life of His Holiness the Dalai Lama. Coordinator Tsultim Gyatso then felicitated the esteemed Ambassadors and guests with traditional Tibetan scarf. He thanked them for gracing the Tibetan new year celebration. The dignitaries extended their warm greetings to the Tibetans at the gathering. The celebration concluded with cultural performances including Tibetan auspicious dance of Ngonpa and offering of Tibetan delicacies. Coordinators for Tibetans in Nepal, Mr Tsultrim Gyatso addressing the official celebration of Tibetan New Year. 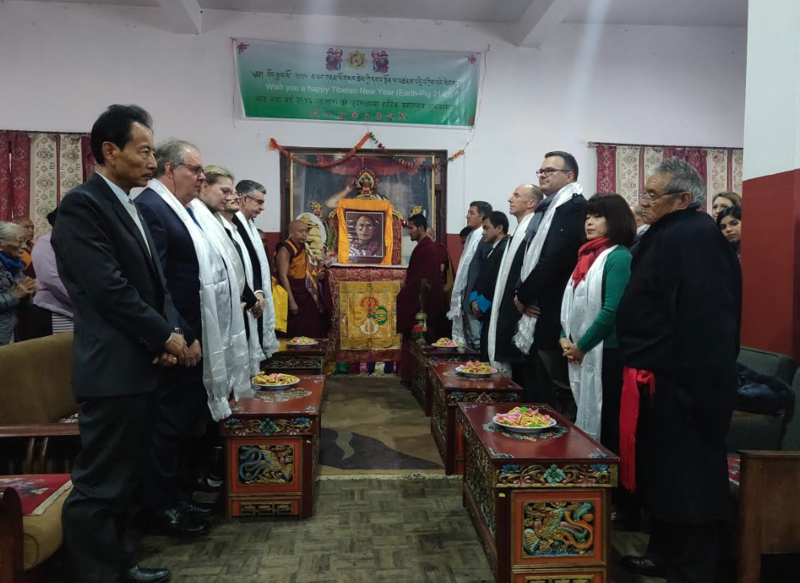 Ambassadors of more than six countries and representatives of international organisations based in Nepal attend the Losar celebration, organised by the Tibetan Coordinator’s Office, Nepal. Representatives of more than six Foreign diplomatic missions based in Nepal including the US, UK, France, Germany, Japan, Switzerland and India at the official celebration of Tibetan New Year, Losar at Swoyambhu, Nepal. Mr Tsultrim Gyatso, Coordinator for Tibetans in Nepal making a Mandala offering on the third day of Tibetan Losar. Coordinator Tsultrim Gyatso, heads of Tibetan organisations and representatives at the official celebration of Tibetan New Year, Losar. Representatives of foreign diplomatic missions taking part in the Sangsol ceremony.